How it all started: The idea of Sing4Life was inspired by a lecture that WomenSing members attended at the 2015 Chorus America conference. 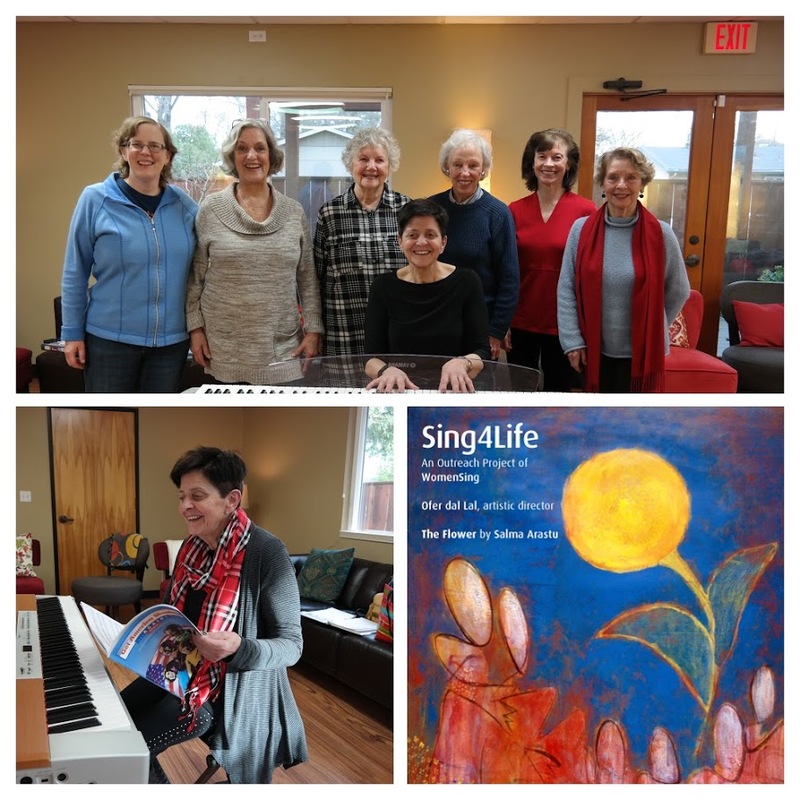 The lecture was given by Julene Johnson, a researcher at UCSF, on the benefits of singing in community for health and aging. We couldn’t seem to let this information rest. Could we give this satisfying, health fostering experience to others with limited access? After many conversations and meetings, we came up with our program Sing4Life, which was launched on September 13, 2016. Colleen Henry began as our first director followed by Jules Campbell. Many, many thanks are due to the Cancer Support Community in Walnut Creek who provided a very good location and clientele for our pilot program! The Center has a variety of classes for those in the area who are in the midst of treatment or newly diagnosed. The classes are for both clients and caregivers. How it works: A small choir of well trained and current WomenSing members and alumna under the direction of a song leader share the experience of a readymade choir to those who have little time or access to join such a group. We hold once a month sing-alongs, and the songs are chosen from the Music Educator’s Get America Singing Again, and the Great American Songbook, along with a salute to the Beatles and other personal song requests. The sessions open with some light stretching, breathing and rhythm exercises. We include canons and rounds and time to tell trivia about the songs and composers. And we always hear some interesting personal stories connected to our selections! It is a privilege to get to know the growing number of people joining us. We look forward to the ongoing development and expansion this program.